In the hope of making 2017 better, I'm using a new kit to create this year's project pages. 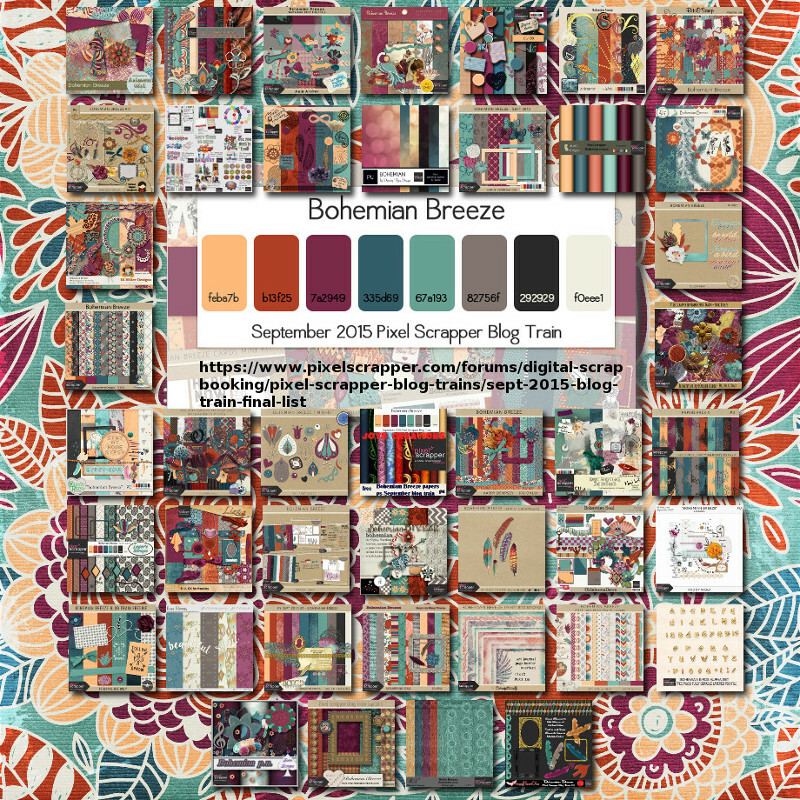 The one I selected is called Bohemian Breeze and you can see thumbnails for each of the designer's work below. For more information, including links to the artists' blogs, visit this page on pixelscrapper.com. This entry was originally posted at http://mrs-sweetpeach.dreamwidth.org/903338.html.